Promenade Park drawing, Fort Wayne, Ind. FORT WAYNE, Ind. 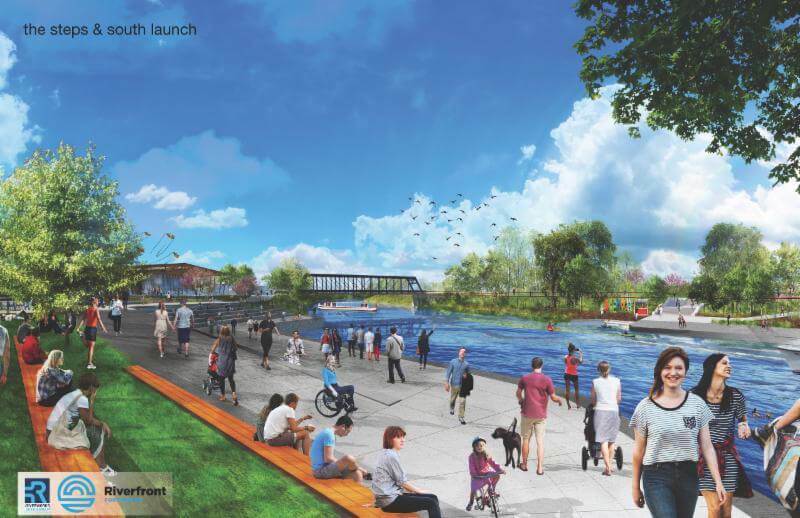 — Promenade Park — the cornerstone attraction of the new Riverfront Fort Wayne — is opening in summer 2019. Sweet Breeze, Fort Wayne, Ind. Promenade Park and the new downtown riverfront amenities are sure to be one of Fort Wayne’s destination-defining attractions, said Jessa Campbell of Visit Fort Wayne. The St. Marys, St. Joseph and Maumee rivers have always been an essential part of Fort Wayne’s history. The nickname “Summit City” comes from the days of the Wabash and Erie Canal, when Fort Wayne was the highest point on the run of the canal. “Today, Fort Wayne’s rivers are an essential part of recreation and are coming back to the forefront of the community with development projects planned to provide new access points to recreation on our rivers,” Campbell said. The first development, Promenade Park, is planned to open in June 2019. This development will include a tree canopy trail, amphitheater, playgrounds, activities for any time of year and many public spaces. 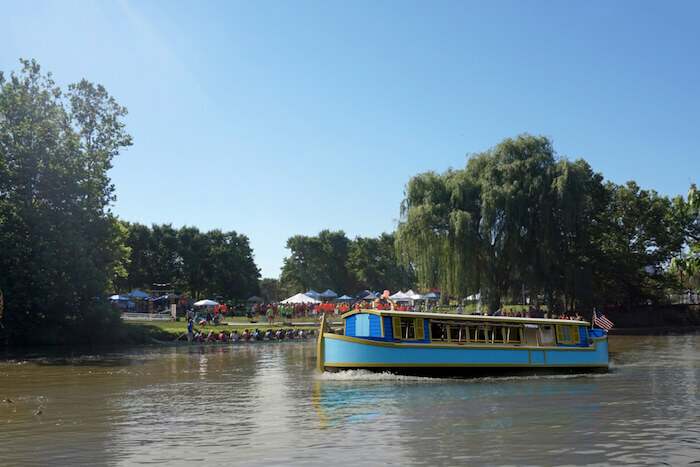 River aficionados currently adventure along 8 miles of rivers by kayak, canoe, stand-up paddleboards, and riverboat cruises including the new 19th-century replica canal boat, Sweet Breeze.